Rick Kelly snatched a famous win for Nissan Motorsport in a stunning conclusion to the opening leg of the Winton SuperSprint. 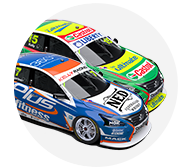 Just days after Nissan announced it will withdraw its support of the Kelly family-owned team at season’s end, Kelly scored the manufacturer’s first win in nearly two years. It also marked the 2006 champion’s first race win since November '11, a full 210 races ago, when the team campaigned Holden Commodores. Kelly held off Scott Pye over the dying laps after Scott McLaughlin, who had dominated the race from pole, slid wide on a Safety Car restart with eight of the 40 laps to go. 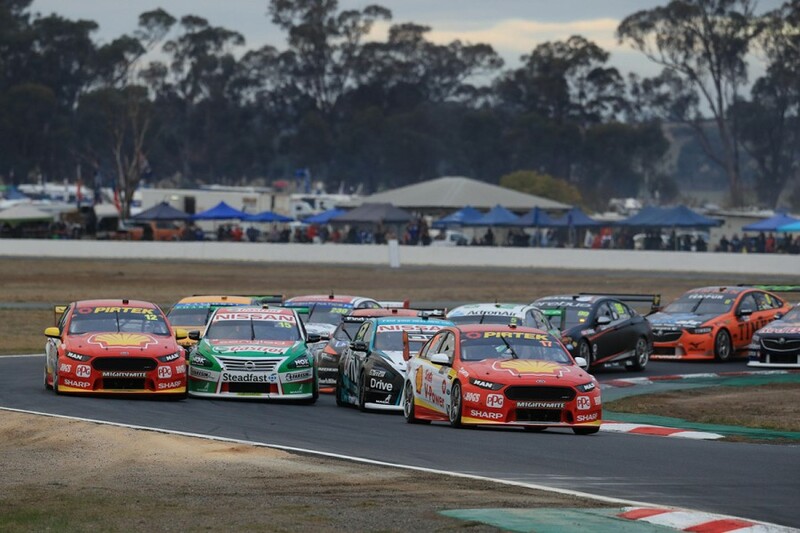 Pye had almost 20-lap fresher tyres than Kelly but could not find a way by and, in the end, only narrowly held off Shane van Gisbergen, who completed the podium. McLaughlin ended up trailing home team-mate Fabian Coulthard in fifth place, leaving the spotlight well and truly on Kelly and Nissan. “I’m trying to hold it all back,” said Kelly of the emotion. “It was pretty quiet on the radio, I think everyone’s pretty overwhelmed. “I knew we were in a little bit of trouble there at the restart, Scotty was pretty straight and I knew we had a lot of build-up on the tyres. “I was hoping it wasn’t just us, sure enough it wasn’t, he had a big wobble through [Turn] 1 and 2 and I got enough off my tyres to sneak up the inside of him. McLaughlin had won the start, leading fellow front-row qualifying team-mate Coulthard to battle the Nissans of Michael Caruso and Kelly into Turn 1. The trio arrived three-wide and, after some side-to-side contact through the opening bends, it was Caruso who emerged ahead from Kelly, Coulthard, Tim Slade and Pye. The front-runners remained line astern until Nissan attempted an undercut with Caruso on lap six in a race where early tyre changes were possible due to the low degradation. Shell V-Power Racing reacted by pitting McLaughlin the following lap, returning to the track comfortably ahead. Kelly had followed McLaughlin in and rejoined narrowly ahead of his team-mate, before Caruso’s woes were compounded a lap later when Coulthard pulled a similar trick. The race then settled into a rhythm, with a yet-to-pit Pye leading the way on the road, but McLaughlin appearing well and truly in control. Pye finally pitted on lap 25, rejoining between Coulthard and Caruso and, with the benefit of fresher tyres, passed the Shell Ford two laps later. Van Gisbergen pitted two laps after Pye, leaping from 14th on the grid to rejoin from his lap 26 pitstop – which was delayed by a slow tyre change – in sixth. The Kiwi passed Caruso for fifth moments before a dispute between Tim Blanchard and Simona De Silvestro spat the former into the Turn 4 gravel, triggering the Safety Car. McLaughlin’s mistake on the restart defined the race; marginally too deep into Turn 1, the Shell Ford lacked momentum out of Turn 2 and was gobbled up by the pack. "The surface of the tyre was really cold, I went through the last corner, came onto the straight and thought ‘ooh, Turn 1’s going to be interesting’," recounted McLaughlin. "It was, unfortunately, but for the team it’s good to get fourth and fifth when the other guys [title contenders] are having a bad day. Unfortunately, the win there went away from us. "We had a fast car, the Safety Car came at the wrong time for us. We maybe should’ve went a little longer with that first stop, just covering some people off, but you’re racing who you’re racing." 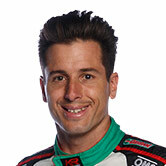 Caruso ended up sixth behind McLaughlin, while Slade, Garth Tander – who had started just 20th – James Courtney and Mark Winterbottom completed the top 10. Jamie Whincup started 11th and finished just 17th after an aggressive strategy of being the first to pit on lap five failed to pay off. It was an even more disastrous race for David Reynolds, who after qualifying 17th, found himself in the thick of the opening-lap action. Reynolds was forced to take evasive action when Jack Le Brocq tagged fellow rookie Richie Stanaway into a spin at Turn 4. Still getting back up to speed at Turn 5, Reynolds and Simona De Silvestro made contact, breaking the steering on the Erebus Holden, which eventually finished 25th. Cameron Waters was the only non-finisher, pitting with a driveline failure after 28 laps.